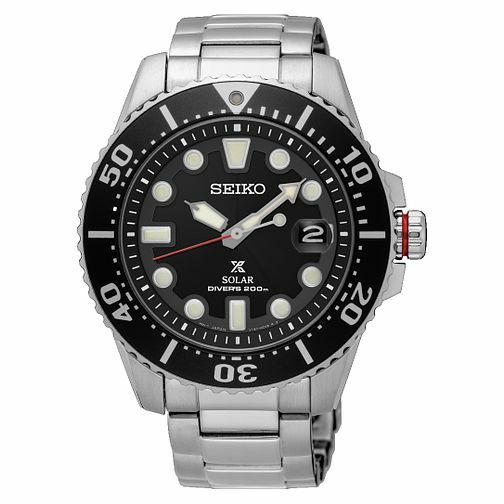 An innovative solar powered men's stainless steel bracelet watch by Seiko, styled with a smart black dial with date window and boasting 200 metres water resistance. Powered by both natural and artificial light, meaning you'll never need to change the battery. This watch is designed in partnership with PADI, the world's largest diving network.